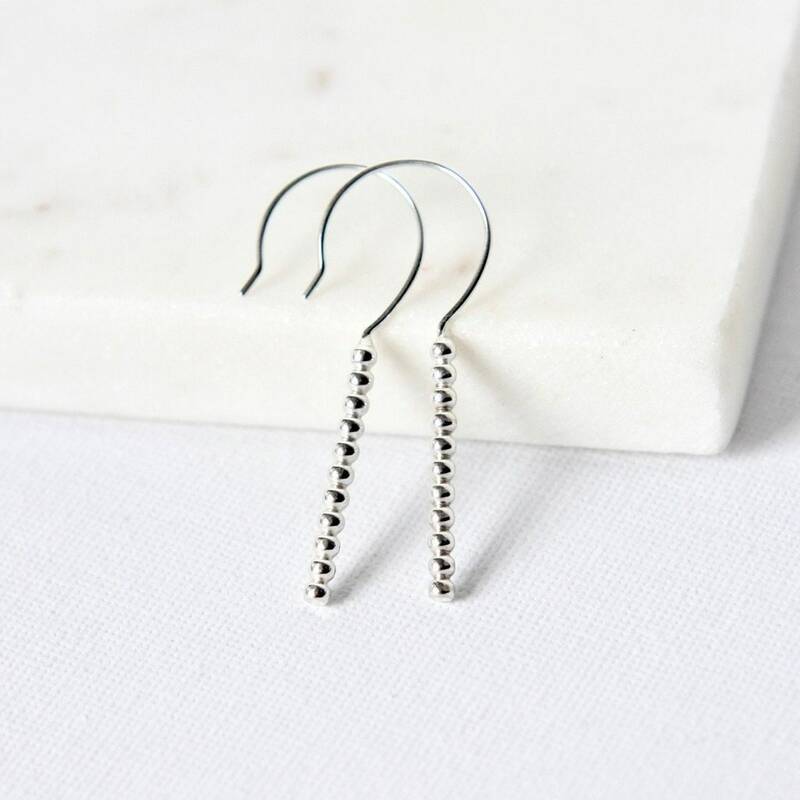 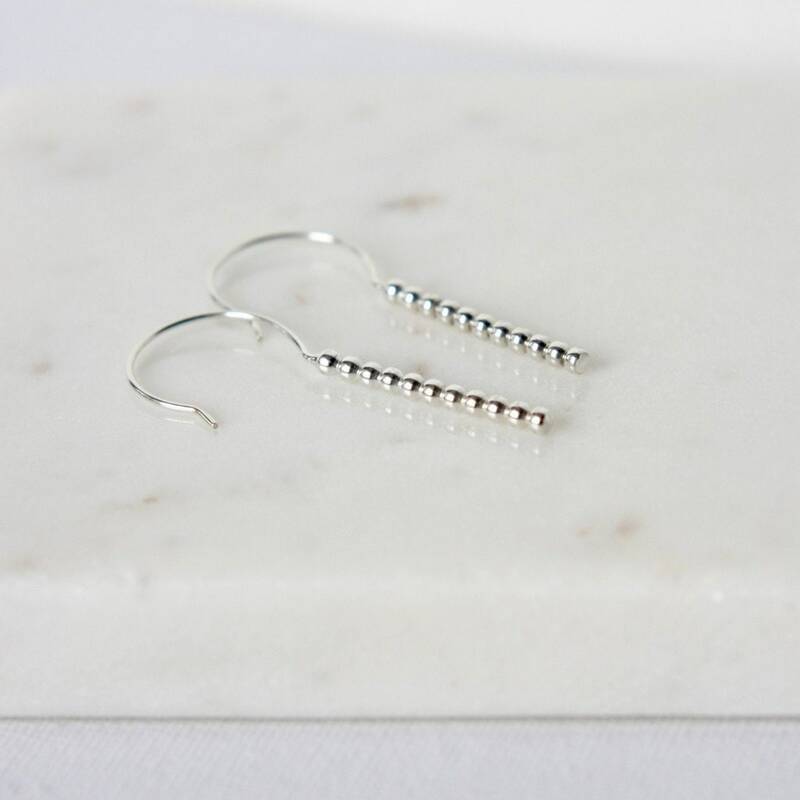 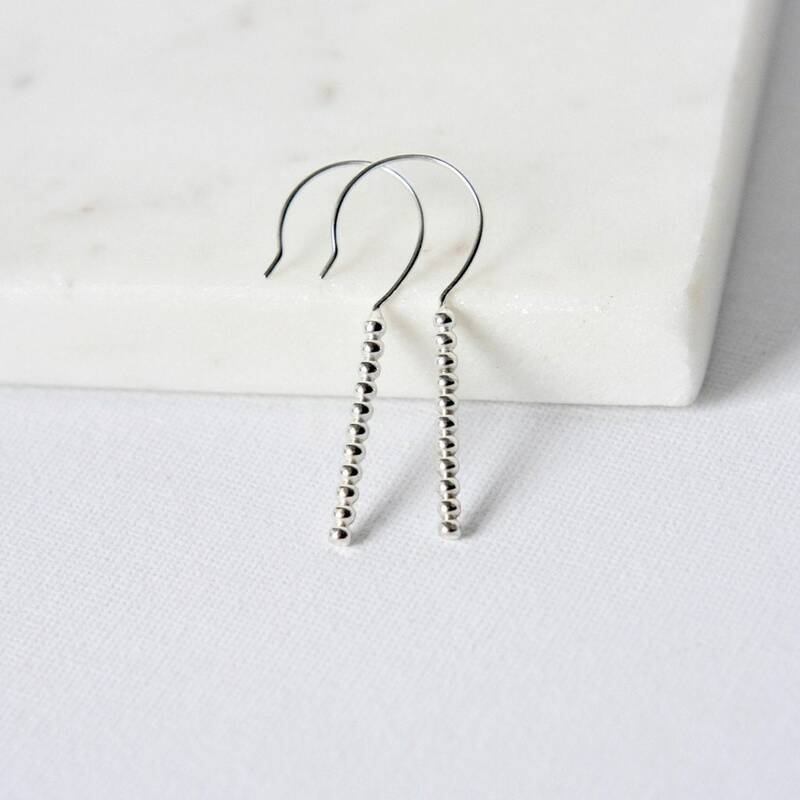 A fresh modern take on the classic bar earrings! 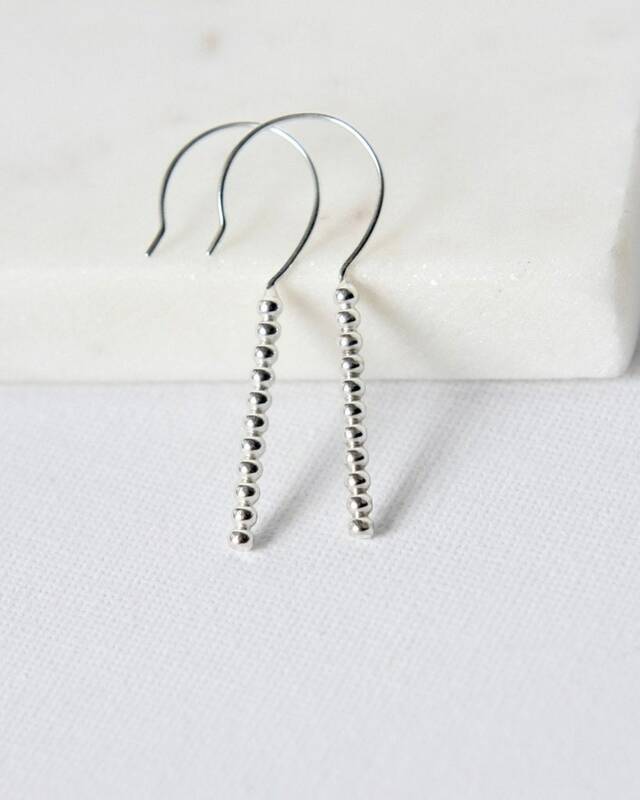 These ones feature bright and shiny sterling silver beaded wire and French-style ear wires for an elegant look. 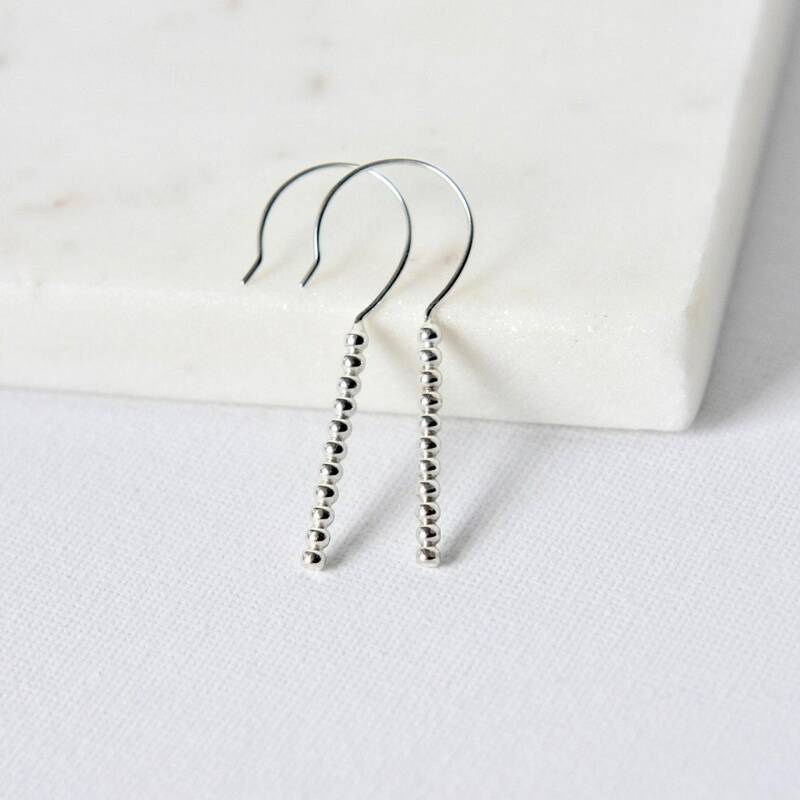 The earrings are lightweight and sway a little as you move and the clean minimalist design ensures they'll compliment any outfit. 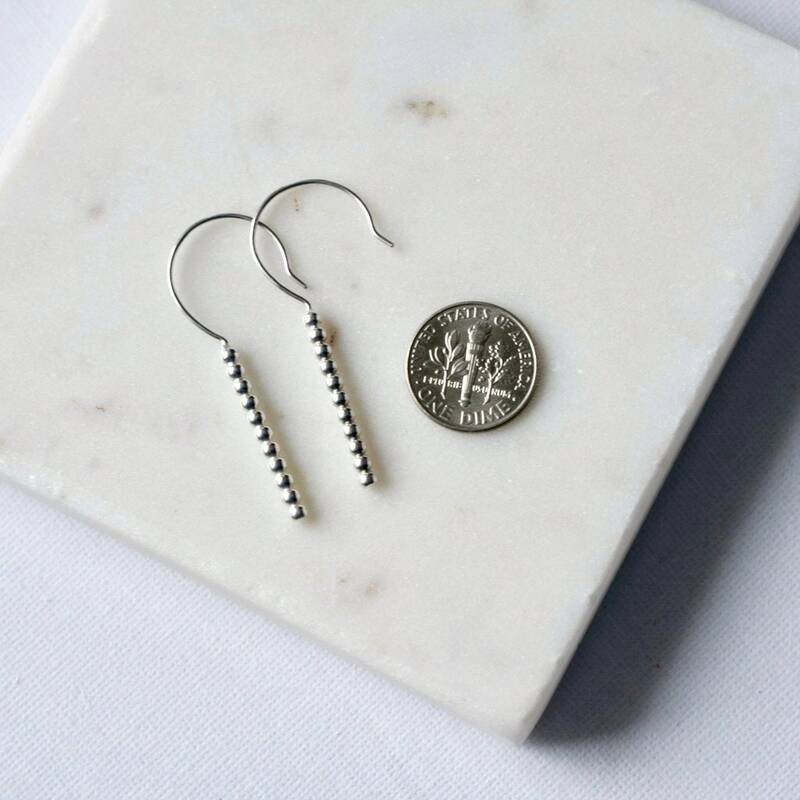 The beaded bars are about an inch long and the total length of the earrings from the top of the hooks is 1.75 inches.